New construction! Come see our "St. Augustine" floor plan. 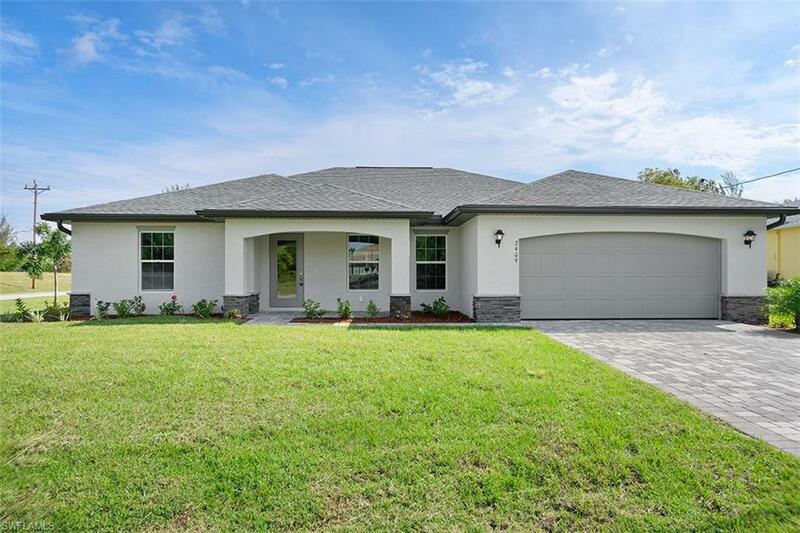 Beautiful 4 bedroom home in SW Cape Coral. Home includes a 10 year structural warranty and a full 1 yr warranty! Open floor plan with cathedral ceilings and Center island kitchen. 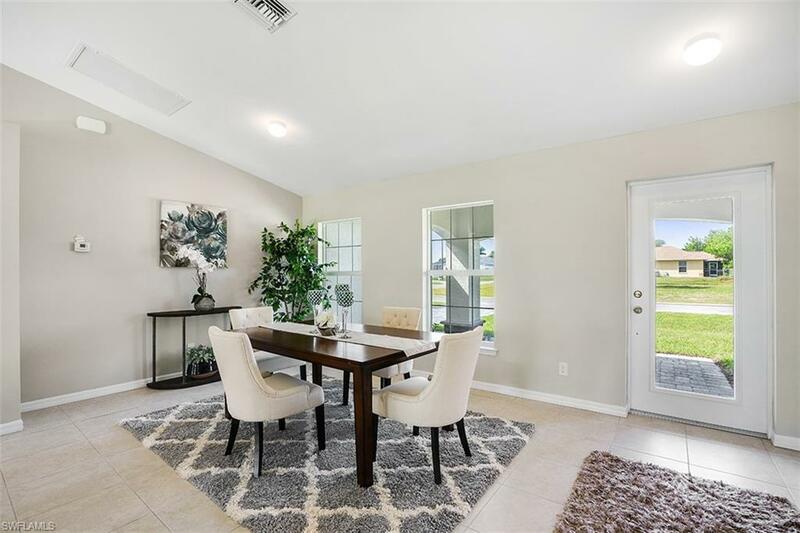 Spacious living room leads to large covered lanai to enjoy the SW Florida lifestyle! Features Include: Concrete Block Construction and Wood frame Interior, Under truss lanai, Lenox 14 Seer high efficiency AC system, Moen plumbing fixtures, Dimensional Shingles, PGT Low E Insulated windows, cabinets with soft close doors, Granite Counters in Kitchen and Bathrooms, Stainless steel Kitchen appliance package, colonial style raised panel doors, Electric garage door opener, 18" tile flooring in main living areas , Stone Accents on front elevation of the home, irrigation system, upgraded landscape package, epoxy coated garage floors. 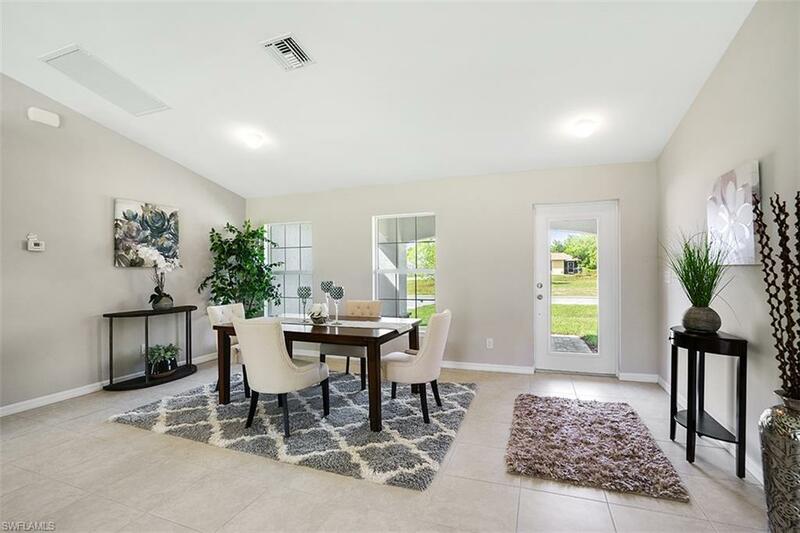 Pictures shown are of a completed home and features may differ. 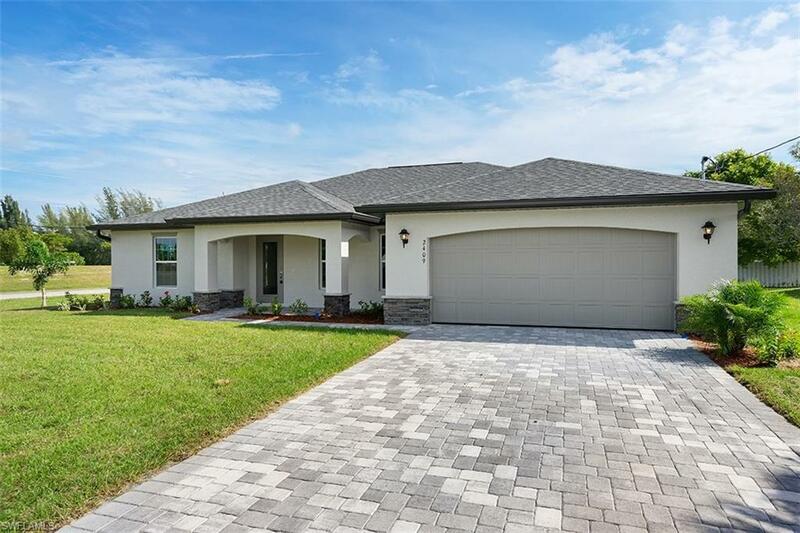 You will not find another new construction home at this price with this quality of construction! Ask sales representative about closing costs incentives. Listing courtesy of Carlos Gilkey of Christopher Alan Realty, Llc.